It’s freezing right now in Japan, but there is some good news...spring (and the cherry blossom season 🌸🌸🌸) is not far away. In Japan, we welcome the start of spring (according to the Lunar calendar) with a special event called Setsubun (節分), which means ‘seasonal division’. 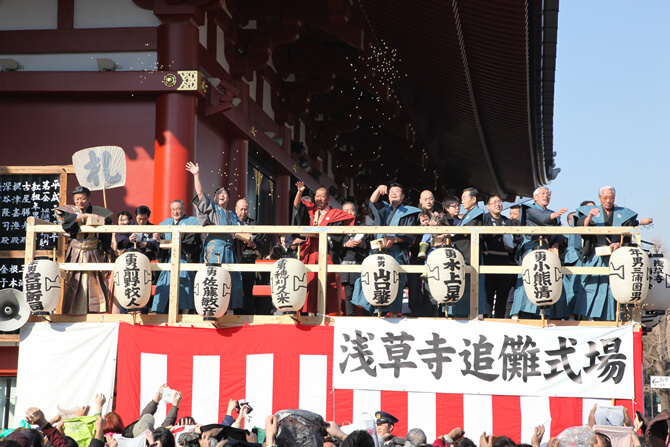 This year we’ll celebrate Setsubun on the 3rd February - they day before the beginning of spring. We celebrate the day with mamemaki (豆まき) and by eating eho-maki (恵方巻き). 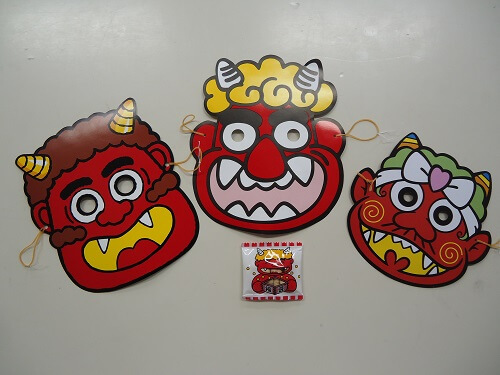 Mamemaki is a bean throwing ritual, where we throw roasted beans at a person disguised as an oni or demon 👹, usually a boyfriend or father wearing a demon's mask! We shout "Oni wa soto! Fuku wa uchi,” which means "Demons out! Luck in!” After the demons have been banished, you eat the number of beans that correspond to the age you will be in the year. Sensoji Temple in Asakusa, Tokyo is the most famous place in Japan to experience the mamemaki. The temple was founded in 645 AD and is considered one of the most respected Buddhist temples in Japan. Many Japanese celebrities, such as Kudaime Hayashiya Shōzō (a rakugoka), Kyoko Hamaguchi (a freestyle wrestler) and KNIGHTS (a comedy duo), are invited to join the mamemaki. 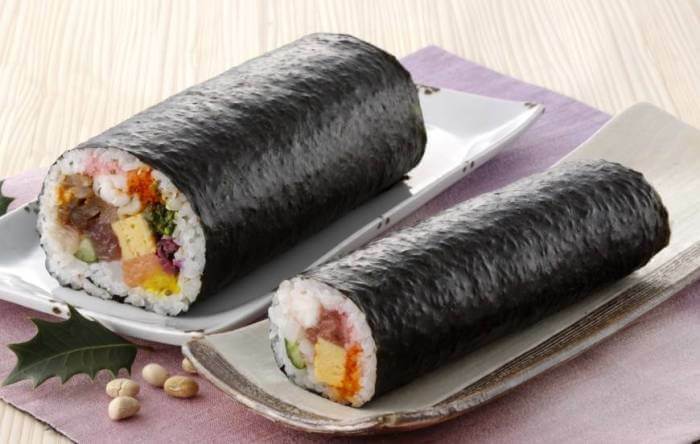 Eho-maki, meaning lucky direction roll, is one long sushi roll (about 20cm long and 5cm thick) and has to be eaten facing a specific direction, which changes each year. This year’s lucky direction is east-northeast. Eating the eho-maki in one go, without cutting the sushi roll into smaller pieces, is believed to bring you good luck. 🍣 This can be challenging, so you can eat a mini sushi roll instead! There are lots of variations of eho-maki, such as with matsusaka-ushi (very expensive Japanese wagyu beef) and Japanese spiny lobster. Also, Subway makes an eho-sub, a 30cm long sandwich, and many pastry shops make eho-roll cakes! Eho-maki can be ordered from various stores, such as famous department stores and konbinis. Luna’s favorite sushi roll has a strip of Japanese omelet, cucumber, marinated shiitake mushroom and dried gourd. Have you tried eating eho-maki on Setsubun or any other Japanese traditions?